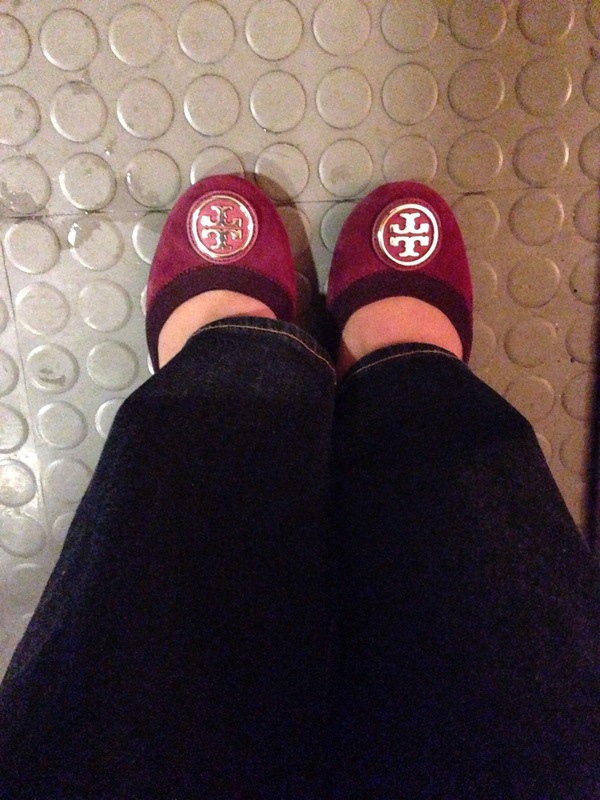 Hours ago, when the skies were clear, I donned the soft-as-baby’s-bottom burgundy suede flats Santa brought me. I think he was trying to send me a message about the heels since I found an identical pair of flats in navy as well as a pair of black and chocolate brown riding boots under the tree. Alas, I should have chosen the boots. 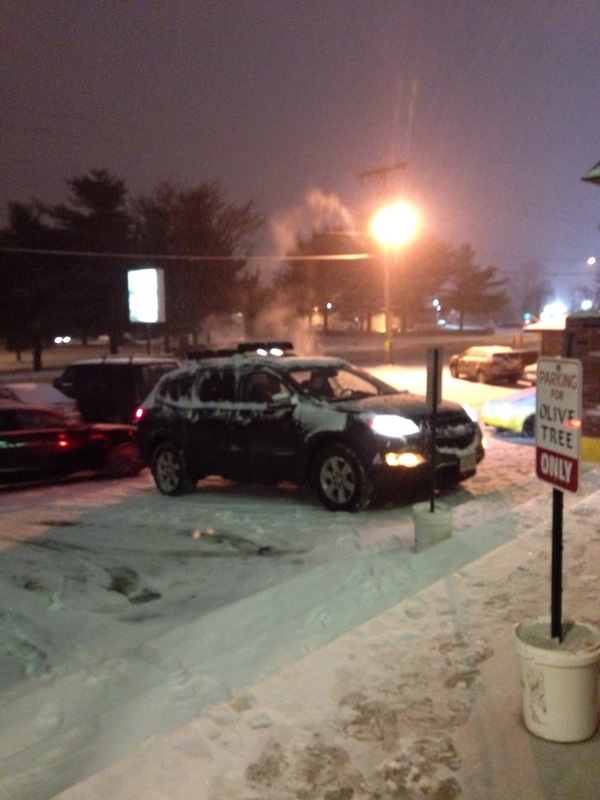 Aquitalia says they are weatherproof. But this is what I face. The solution comes to me. I send my children to the car. 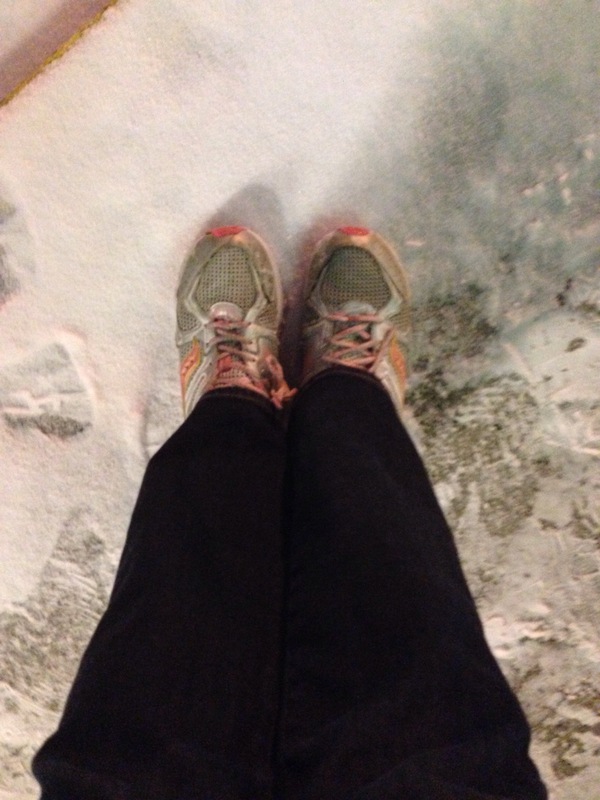 My 11 year old (also not prepared for mother nature’s frosty end to the evening) has less lovely shoes on. Her feet are not that much smaller then my own. Her 7 year old brother runs back (also on in his totally-not-appropriate chuck taylors) with her kicks. I nuzzle the flats in the warmth of my wool coat and head to the car where my barefoot tween awaits.